The Takata airbag recall expanded after Ford Motor Company issued a recall affecting approximately 953,000 vehicles worldwide. This Takata airbag recall expansion includes 782,384 vehicles in the United States and its federal territories.The recall expansion will address passenger frontal airbag inflators that Takata declared defective. The Takata recall is the largest and most complex recall in history. It began in 2009 when an Oklahoma woman was killed by shrapnel from a driverside airbag explosion. Defective Takata airbags were installed in millions of vehicles by 34 different automakers. 2010 Ford Edge and 2010 Lincoln MKX vehicles built at Oakville Assembly Plant between Nov. 28, 2008 through July 12, 2010. 2010-2011 Ford Ranger built at Twin Cities between Aug. 14, 2008 to June 21, 2014. 2010-2012 Ford Fusion, 2010-2012 Lincoln MKS and 2010-2011 Mercury Milan built at Hermosillo Assembly Plant between July 3, 2008 through July 29, 2012. 2010-2014 Ford Mustang built at Flat Rock Assembly Plant between June 8, 2009 through Dec. 16, 2011. In addition, on its website, Ford highlights the Mustang 2005-2014, Ranger 2004-2006 and GT 2005-2006 as the highest priority vehicles. The company says that it is not aware of any injuries stemming from these vehicles. Dealers will replace the passenger frontal airbag inflator or module at no cost to the customer. How Important is Replacing my Recalled Takata Airbag? Because these airbags shoot shrapnel at vehicle occupants at a high rate of speed in a short distance, it is imperative that you get take your vehicle for repairs the moment parts become available at a convenient location near you. NHTSA has broken the U.S. and its territories into three zones based on priority. The agency determined state priority by weather conditions with persistent high humidity and temperatures. These weather conditions add to the likelihood of Takata airbag components degradation. ZONE A: Alabama, California, Florida, Georgia, Hawaii, Louisiana, Mississippi, South Caroline, Texas, American Samoa, Guam, the Northern Mariana Islands (Saipan), Puerto Rico and the U.S. Virgin Islands. ZONE B: Arizona, Arkansas, Delaware, District of Columbia, Illinois, Indiana, Kansas, Kentucky, Maryland, Missouri, Nebraska, Nevada, New Jersey, New Mexico, North Carolina, Ohio, Oklahoma, Pennsylvania, Tennessee, Virginia and West Virginia. Even if you are in zone c, taking immediate action the moment parts become available will keep you safe. ZONE C: Alaska, Colorado, Connecticut, Idaho, Iowa, Maine, Massachusetts, Michigan, Minnesota, Montana, New Hampshire, New York, North Dakota, Oregon, Rhode Island, South Dakota, Utah, Vermont, Washington, Wisconsin and Wyoming. 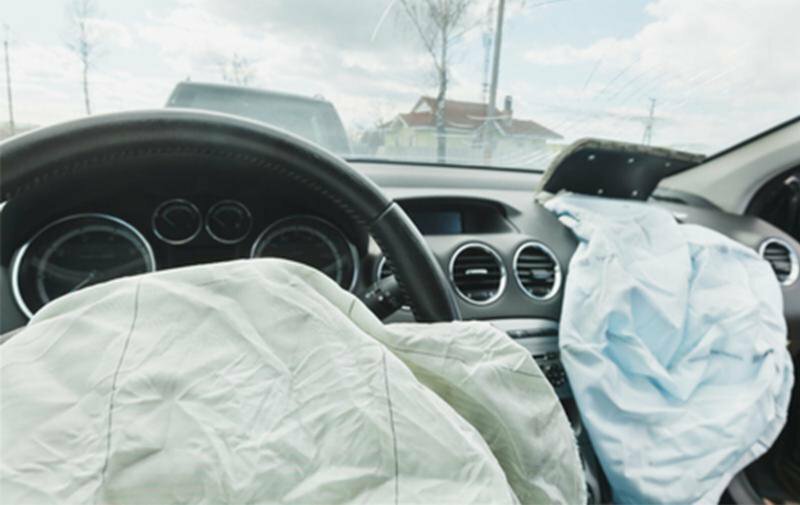 Suffering injuries or losing a loved one as the result of a Takata airbag is a painful experience. While financial compensation cannot heal the pain you feel from loss, it can help you recover from lost wages, pay medical bills or reimburse funeral expenses. Additionally, it ensures that justice is served to negligent parties. Contact The Webb Law Centre to discuss your case with a qualified Takata airbag recall lawyer.